Patio Door Rollers and Track Repairs in Riverside County, CA Your browser does not support the audio element. Replace tired and worn old ecterior sliding glass door with a new one! New vinyl sliding glass doors start around $1,500. If you are looking for cheap outside entry doors remember, cheap doesn't mean safe for your family and what if it rains? Will a cheap door keep the rain out and let the burglars in? 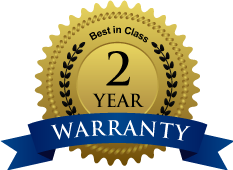 You get what you pay for, and we will customize a new sliding glass patio door according to your needs and the features you want. Exterior sliding glass doors can help improve the look, feel and value of your home. The idea is to let the light in but keep the critters and elements out. Buy home made American exterior sliding glass doors and leave the rest to us. © 2015 http://www.patiodoorproblems.com All rights reserved.